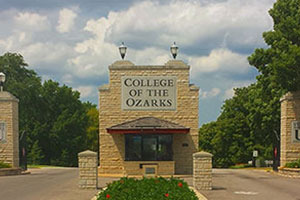 The College of the Ozarks wants to create its own police department. In order to do that, the college is trying to change Missouri state law. Private colleges and universities want to have the same option available to their public counterparts, a top Ozarks safety official said. A significant reason as to why this change was brought up is from the prevalence of active shooters on school and college campuses. The college partnered with state Rep. Jeff Justus, a republican from Branson, to help with the language of the proposed “Private College Campus Protection Act.” Sponsored by Justus, House Bill 105 is moving through the Missouri General Assembly along with the equivalent Senate Bill 129, sponsored by Sen. David Sater, a republican who represents areas in Barry, Lawrence, McDonald, Stone and Taney counties, according to the Springfield News-Leader. The college has 11 full-time officers working in its Security Department. The officers take incident reports, monitor the front gate, secure buildings and patrol the campus 24 hours a day. The current security set-up is working, but has its limitations, McDonald said. The campus is in the jurisdiction of the Taney County Sheriff’s Office and the Missouri State Highway Patrol, and at least one responds if there is a major incident on the campus. If the proposed legislation is approved and signed by Gov. Mike Parson, Ozarks plans to apply to the FBI to create a campus police department. If approved, the proposed change will be voluntary and private institutions will decide how much they want to invest in establishing a campus police force.